Design thinking is a proven and repeatable problem solving protocol that any business or profession can employ. It combines creative and critical thinking that allows information and ideas to be organized, decisions to be made, situations to be improved, and knowledge to be gained. It’s a mindset focused on solutions that integrate the needs of people, the possibilities of technology, and the requirements for business success. 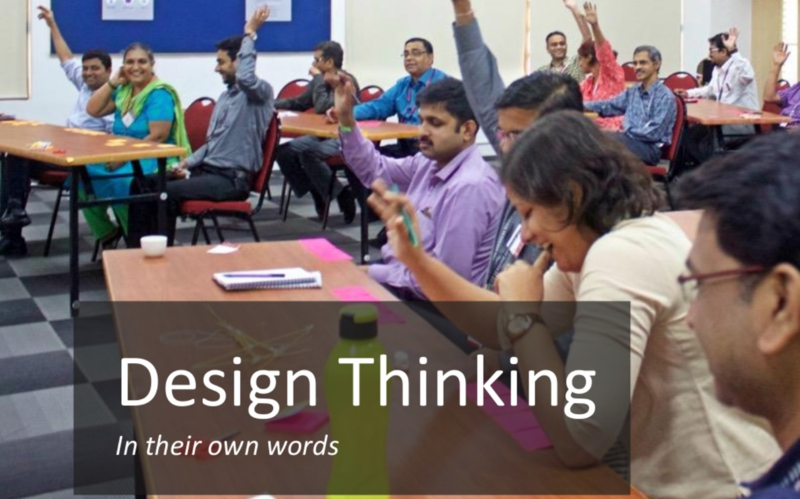 The Ideafarms Introductory Design Thinking workshop provides participants a hands-on experience of the power of design thinking in their context. 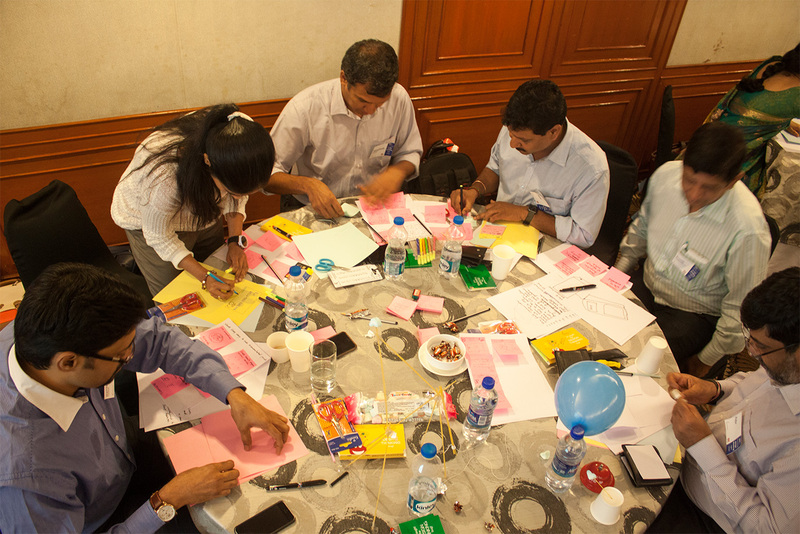 Spread over two days, the workshop introduces participants to the methodology and tools of Design Thinking. Participants work through a problem statement to get a hands-on feel of the process and walk away knowing why it’s important to think from the customer’s point of view. We assist you in finding solutions to business problems. Our experts are experienced industry professionals in problem solving. They use Design Thinking, Lean Six Sigma, their experience and facilitation skills to facilitate a 3 day boot camp or a sprint customized for your requirement. If you want to solve a real problem, using our unique framework. At its core, Design Thinking is about the way we work. Incorporating small behavioural changes can make a big difference to the way your team approaches problems. For resources and guides to help you incorporate Design Thinking in your team and organisation, visit the Design Thinking Practitioner’s Desk. With increasing use of mobile devices and the “mass-consumerization of computing” the IT industry has moved from “tech-led” to “experience-led” digital products. The result, today’s products are better than ever, interfaces are more intuitive, companies are hiring designers at the C-level and design is being sought after by venture capitalists and consultancies alike. Design in the software industry is no longer relegated to an afterthought for making interfaces look pretty, it is now part of strategy. At Ideafarms, we believe the core value of mobile devices—always on, wherever you go—can be leveraged by businesses as well as not-for-profits to address challenges that are very specific to them. Working with you, we can help you identify opportunities for your business, from increasing productivity to improving your customer’s experience. Mockups have saved our clients substantial sums of money: affording customers the unique ability of passing them around to all stakeholders for feedback, approvals and to freeze specifications. Move over smartphones: Virtual Reality is the new future. The immersive technology is increasingly being used fields such as, gaming, real estate, architecture and more. We’re incubating a project for education. Learn how you can integrate the techniques of Design Thinking in your own context and with your skill-set by practicing in the real world. "When can my boss test drive the application"